Density and urban form combined are key contributors to congestion in Los Angeles. Traffic congestion is a long-standing urban problem, and researchers have studied it for many years. 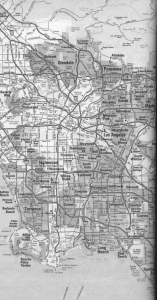 The resulting literature offers many valuable insights relevant to Los Angeles, along with other cities. Congestion results from an imbalance between the supply of road capacity and the demand for driving during peak travel hours. Potential solutions thus include managing peak-hour driving demand or boosting road supply. Until supply and demand are brought into closer alignment, congestion will resolve the imbalance by making drivers wait their turn to use the road. Growth in demand has far exceeded growth in supply in recent decades.One reason demand so often outstrips supply is that vehicle miles traveled (VMT) have been growing much faster than the nation’s road supply for decades. We no longer build roads the way we used to, but we drive more than ever—in Los Angeles and across the nation. 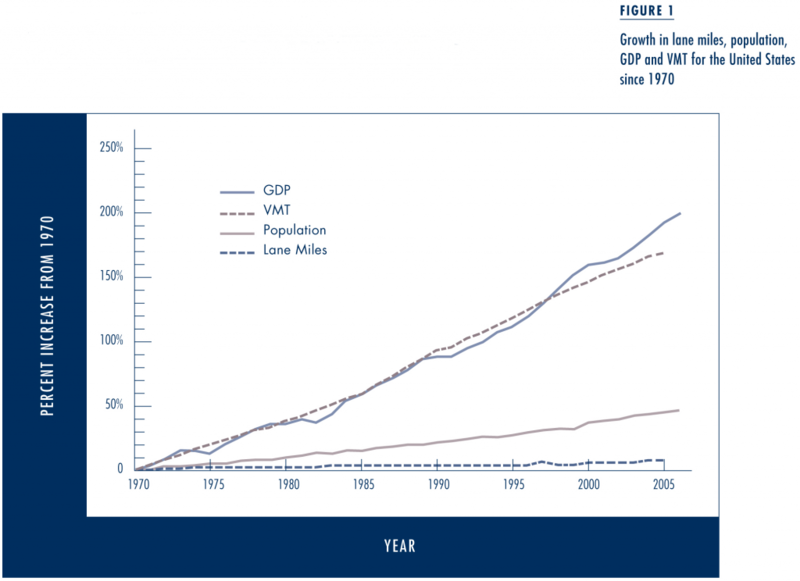 Figure 1 provides an aggregate view of this trend, comparing growth in road lane miles, population, the economy as measured by gross domestic product (GDP), and VMT in the US since 1970. Over this period, the supply of lane miles has been relatively stagnant, while growth in VMT has far exceeded growth in the population and in fact tracks quite closely with GDP. Transportation revenue shortfalls preclude “building our way out of congestion.” Looking at the data in Figure 1, one might conclude that investing more in road capacity would be a sensible response to the rapid growth in travel. But even setting aside concerns related to climate change, energy security, and sprawl, we simply do not have the available resources to significantly expand capacity. Federal and state gas taxes provide the lion’s share of highway and transit funding in the United States. 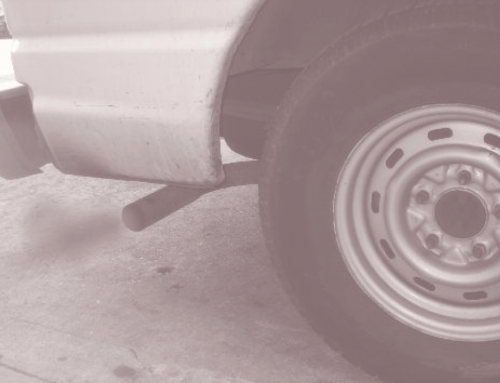 These are typically levied on a cents-per-gallon basis and are not indexed to either inflation or improved fuel economy. The California gas tax was last raised in 1994, and Congress has not increased the federal gas tax since 1993. 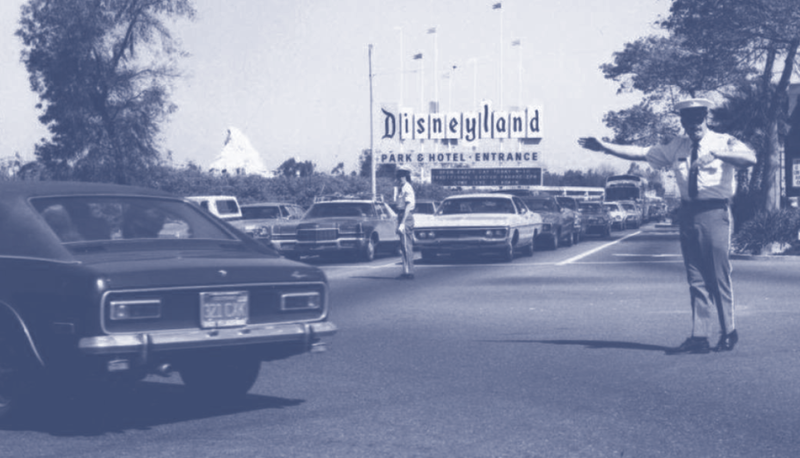 As a result, we now collect far less real revenue per mile of vehicle travel than in years past. Few congestion-reduction strategies remain effective over the longer term.Even if we had the money to build new roads, we would have to contend with the fact that most strategies for reducing congestion—including road-building—become less effective over time. The gradual erosion of congestion improvements comes from a phenomenon called “triple convergence.” In short, when traffic conditions on a roadway improve in the peak hours, additional travelers tend to converge on the new capacity from (1) other times of travel, (2) other routes of travel, or (3) other modes of travel, slowly eroding the initial benefits from reduced peak-hour congestion. This phenomenon applies broadly; it may occur, for instance, in response to the development of new lane capacity, a new subway line that lures some drivers out of their cars, or ridesharing programs that increase the number of travelers in each vehicle. Any measure that improves traffic flow during the peak hours also attracts additional drivers to take advantage of the improved conditions. While such strategies may promote greater aggregate mobility, their ability to relieve peak-hour congestion in the busiest areas and corridors will be short-lived. Failure to charge the full costs associated with automotive travel inflates the demand for driving. If it is not possible to build our way out of congestion, it becomes necessary to focus on demand. 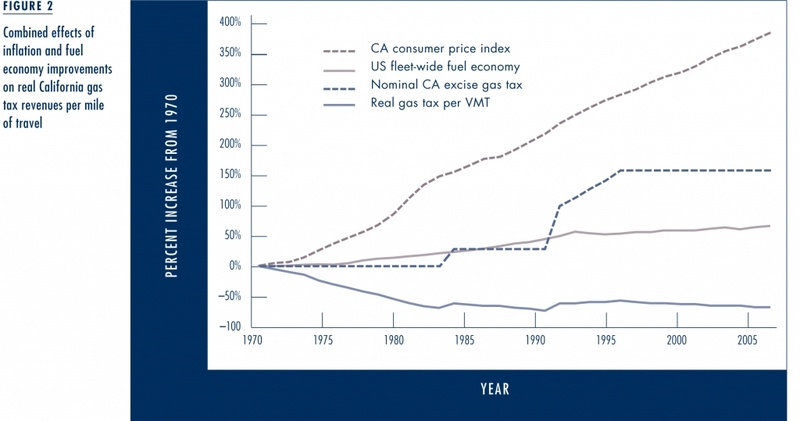 One reason why the significant growth in VMT in recent decades has been relatively unconstrained is that driving, from an economic perspective, is under-priced. While driving creates environmental and social costs, such as harmful emissions and additional congestion delays for others, we are not as individual motorists forced to confront these costs; rather, they are passed along to society at large. Because driving is under-priced, we tend to overuse road space; that is, we make many trips for which total costs (including external costs passed on to others) exceed total benefits. In theoretical terms, this overuse reduces social welfare. In practical terms, it leads to greater traffic congestion, poorer air quality, and increased greenhouse gas emissions. Pricing strategies not only reduce the demand for driving, but are also the only strategies that can produce sustainable reductions in traffic congestion. The only anti-congestion measures that can overcome the effects of triple convergence involve the use of pricing: charging more to drive and/or park in the busiest areas or corridors during peak hours. Pricing forces drivers to confront (internalize) the aforementioned externalities associated with automotive travel. Drivers, when faced with these extra costs, are motivated to change their travel behavior in ways that will reduce overuse of road capacity. The reason triple convergence does not undermine pricing strategies is that the same peak-hour charges that encourage some to change their travel patterns also deter others from converging on the freed capacity. Pricing strategies can help raise revenue as well, and by preventing congestion they facilitate more efficient use of existing capacity. Even small changes in driving can lead to large changes in congestion. The relationship between the number of vehicles and their travel speed is non-linear. When only a few cars are on the road, more can be added without having much effect on travel speed. When the road is already crowded, on the other hand, adding only a few more cars can trigger congestion, significantly reducing travel speed and the number of vehicles that can pass in a given time period. Conversely, when a road is already congested—as many in Los Angeles are—reducing the number of cars by even a small amount can often produce much larger reductions in congestion delays. Encouragingly, this implies that demand-side strategies need only stimulate modest changes in travel behavior to achieve significant results. What Makes LA Traffic So Severe? 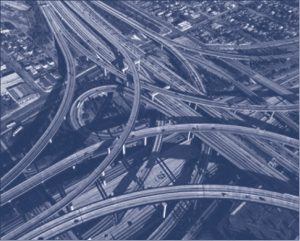 To further inform the development of suitable strategies to reduce congestion in Los Angeles, we took a closer look at some of the underlying factors that contribute to the region’s congestion. What is it about Los Angeles, specifically, that leads to the most severe congestion in the nation, and what implications does this have for the types of strategies that might offer the greatest prospects for reducing congestion? There is an inherent appeal in simple explanations, but traffic is a complex matter. Many of the most obvious hypotheses for the severity of congestion in Los Angeles therefore prove to be either inaccurate or incomplete. Excessive per-capita driving is not the problem. Los Angeles and car culture are closely associated in popular discourse, with the relationship between Southern Californians and their cars often described as a love affair. Yet among the 14 largest metropolitan regions in the country, Los Angeles ranks just fifth in per-capita VMT, fifth in per-capita auto ownership, and ninth in the percentage of employees who drive to work alone. Inadequate road capacity is not the problem. 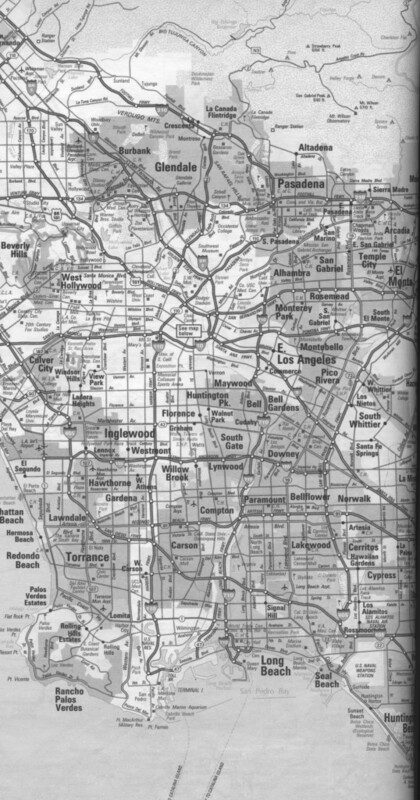 Figure 3 shows that Los Angeles has by far the densest road network among the nation’s 14 largest metropolitan areas, providing over 50 percent more lane miles per square mile than Detroit, its nearest competitor. Even when framed in terms of lane miles per capita, Los Angeles still ranks eighth among the 14 largest metropolitan regions. Moreover, transportation agencies in the LA region have implemented sophisticated programs such as ramp metering and synchronized traffic signals to operate the road system efficiently. Lack of transit service is not the problem. Los Angeles has an extensive transit system in comparison to many other urban areas. Of the 14 largest metropolitan regions, Los Angeles ranks second in total bus service miles, first in bus service miles per square mile, third in bus service miles per capita, fifth in total rail transit track miles (including commuter rail, light rail, and subways), seventh in rail transit track miles per square mile, and seventh in rail transit track miles per capita. The possible explanations above are inaccurate or incomplete because they fail to take into consideration the region’s high population density. Despite its reputation for sprawl, Los Angeles is quite densely populated at the regional scale. While downtown Los Angeles isn’t as dense as, say, Manhattan or downtown Chicago, the suburbs surrounding Los Angeles are much denser than the suburbs surrounding other major cites. 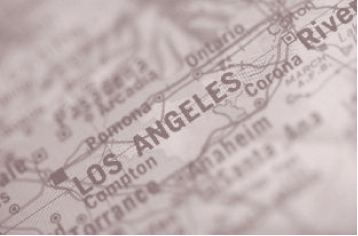 As a result, Los Angeles is the densest metropolitan area in the country. 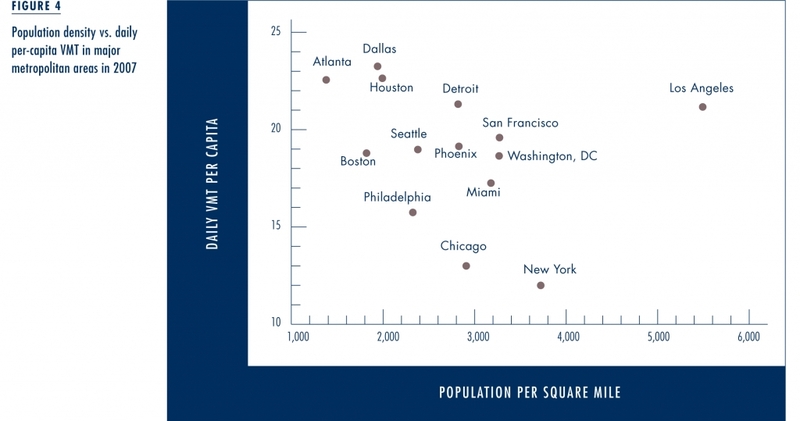 As density increases, individuals tend to drive less on a per-capita basis. Trip origins and destinations are closer together, leading to shorter car trips, and people can rely on alternatives such as walking, biking, or transit for a larger share of trips. Yet this reduction in per-capita driving can be overwhelmed by the fact that many more drivers are competing for the same road space, thus intensifying traffic congestion. The net effect is that greater population density tends to exacerbate congestion—think downtown Manhattan—and Los Angeles is very dense. High population density can also combine with other factors to make congestion worse. We mentioned earlier that Los Angeles residents do not drive more than residents of other large areas. It turns out, however, that they drive a lot on a per-capita basis considering the region’s density; in other words, Angelenos do not seem to curtail their driving as much as one might expect in response to higher density. Figure 4 compares regional population density with daily per-capita VMT for the country’s largest 14 metropolitan regions. Looking across the different regions shown in the figure, there is a fairly consistent relationship in which per-capita VMT declines with regional density. Los Angeles is clearly an outlier. 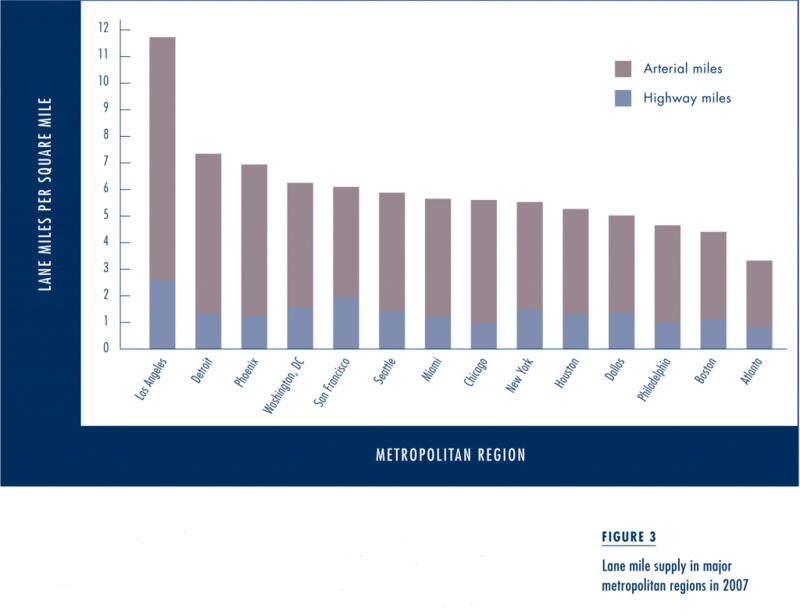 The only other large metropolitan regions in the country with higher per-capita VMT (Atlanta, Dallas, Houston, and Detroit) are all much less dense than Los Angeles. For regions in which the level of density approaches that of Los Angeles (San Francisco, Washington and New York), per-capita VMT is much lower. We thus see a confluence of three density-related factors that in combination help to explain the severity of congestion in Los Angeles: (1) congestion is likely to rise with increased population density; (2) Los Angeles is much denser than its peers at the regional level; and (3) Los Angeles exhibits a surprisingly high level of per-capita VMT relative to its density. The preceding analysis begs the question: just why do Angelenos drive so much more than one would expect given the region’s high population density? While there may be many contributing factors, we underscore two in particular that suggest appropriate policy responses. First, compared to other large metropolitan areas, and especially in relation to the density of the region, Los Angeles offers abundant and inexpensive parking, and this encourages more people to drive. In such areas as San Francisco, a deliberate effort by planners to reduce private vehicle use limits the number of parking spaces that may be included in a new development. In contrast, most Los Angeles jurisdictions require developers to provide some minimum number of parking spaces based on project type and scale, thus ensuring that parking will remain cheap and abundant and reinforcing auto-dependency. The near-term policy implication is that efforts to introduce pricing should encompass parking along with road use. Over the longer term, there are many additional land use reforms related to parking that could be valuable. Los Angeles offers abundant and inexpensive parking, and this encourages more people to drive…most Los Angeles jurisdictions require developers to provide some minimum number of parking spaces based on project type and scale, thus ensuring that parking will remain cheap and abundant and reinforcing auto-dependency. Second, land use patterns in Los Angeles are more polycentric (characterized by multiple centers) than in most other major US cities, making it harder to develop a fast and effective transit system that encourages drivers to leave their cars at home. Rather than a single dominant downtown area as one might find in New York or Chicago, Los Angeles has numerous high-density clusters scattered throughout the region—places such as downtown Los Angeles, Santa Monica, Century City, Long Beach, Glendale, and Pasadena. This means that the transit network will require more links in order to connect all of the dispersed population clusters and job centers with one another. Though Los Angeles has constructed significant light rail and subway track mileage over the past several decades, there are still obvious gaps in the network’s coverage, such as between downtown Los Angeles and the Westside. In addition, the fact that population and jobs are spread out across more centers increases the difficulty of attracting sufficient ridership on any given link to justify the significant investment required for transit lines with dedicated right-of-way. Absent dedicated right-of-way, transit must rely on bus service that is slowed by surrounding traffic. Consider that even with such improvements as traffic signal prioritization and less frequent stops, Metro “Rapid” buses traveling the Wilshire corridor still average just 11 miles per hour during daytime hours—clearly insufficient to lure many drivers from their cars. Though some strategic rail investments may be merited over the longer term, a valuable—and much less costly—intermediate step would be to provide bus-only lanes on the arterial network to speed bus service in high-density transit corridors. 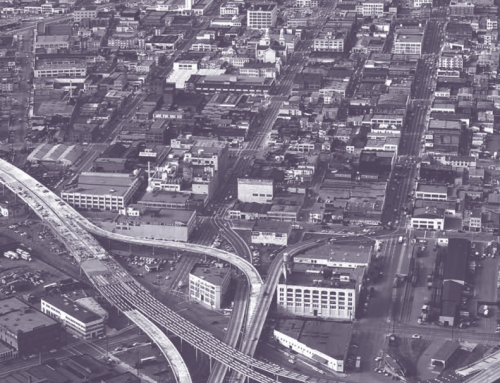 Drawing upon the preceding general and LA-specific insights, we developed an integrated policy framework that appears to offer the greatest prospects for relieving traffic congestion and improving transportation options in the region. The framework encompasses three key components. Rely on pricing to manage peak-hour demand, raise needed revenue, and promote more efficient use of existing capacity. Managing the demand for peak-hour travel represents the only realistic option for reducing traffic congestion in Los Angeles, and only pricing strategies can resist the effects of triple convergence and thus remain effective over the longer term. Pricing will also raise revenue to fund needed transportation improvements and enhance the throughput capacity of existing facilities. 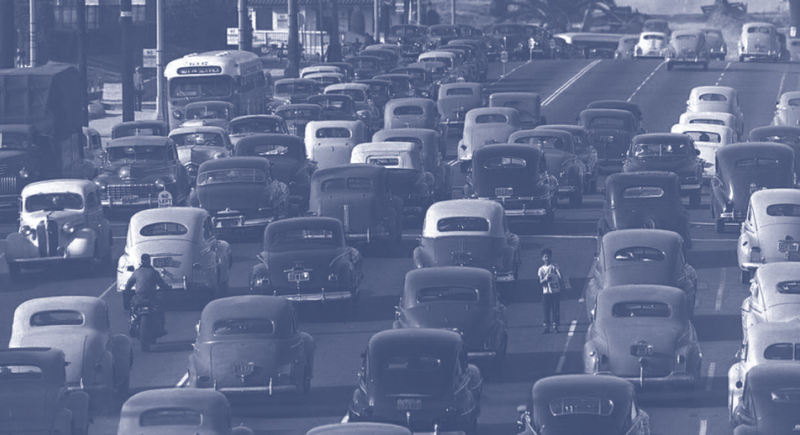 Managing the demand for peak-hour travel represents the only realistic option for reducing traffic congestion in Los Angeles, and only pricing strategies can resist the effects of triple convergence and thus remain effective over the longer term. Significantly improve transit and other alternative modes. 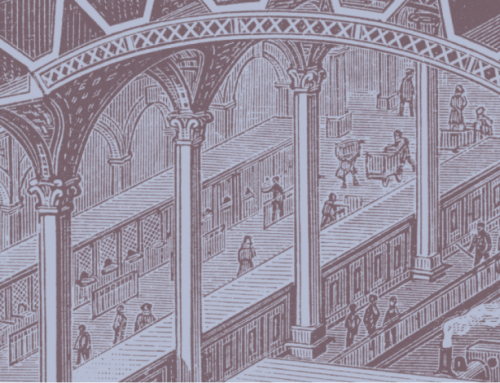 Certain forms of pricing may introduce equity concerns. Providing faster and more convenient alternatives to driving will help to reduce such concerns, and will also benefit those in the region who already travel by modes other than the automobile. Continue to improve the efficiency of the road network, but shift the emphasis from moving cars to moving people. Though Los Angeles has already implemented strategies such as signal timing and freeway ramp metering, there are still opportunities for improvement. From a policy perspective, however, the critical issue here is the focus on moving people rather than moving cars. This implies, for instance, that if an arterial lane can carry more passengers as a bus-only lane than as a mixed-flow lane then it should be converted to bus-only operation. This idea, developed in San Francisco and elsewhere, is often described as a “transit first” priority, though it may be more accurate to think of it as a “people first” priority. With this framework in mind, we evaluated 27 potential short-term strategies and ultimately recommended 10 complementary measures for Los Angeles that collectively support the above framework. Perhaps the most noteworthy characteristic of the specific recommendations is that many—particularly those that involve pricing—are certain to stir controversy. 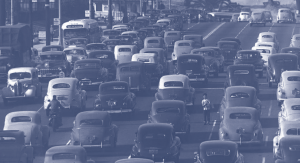 As already noted, traffic congestion is a longstanding urban challenge, and for years decisionmakers have implemented more politically palatable measures such as adding new lanes, synchronizing traffic lights, metering freeway ramps, building subways and light rail, and instituting voluntary rideshare programs. While such efforts help, traffic has still grown worse, and it is clear that we now face more difficult choices. 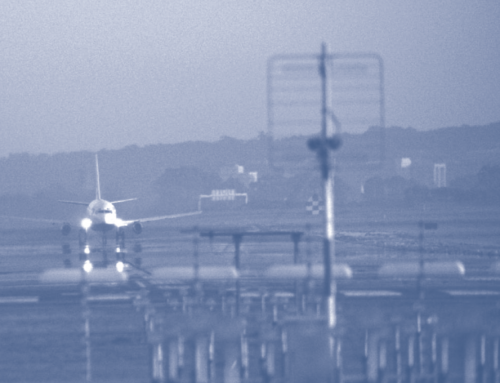 Though the public is slowly becoming more familiar with the concept of pricing, all too commonly the debate centers on whether we should implement pricing strategies or instead pursue other measures for reducing congestion. The appropriate question to ask, given the pervasive effects of triple convergence, is whether we would prefer as a society to implement pricing in conjunction with complementary strategies or instead content ourselves with even more traffic congestion in the coming years. 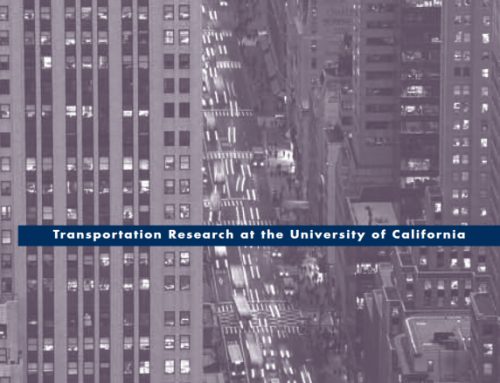 James A. Thomas, the Los Angeles County Metropolitan Transportation Authority, the Music Center of Los Angeles County, and the RAND Corporation provided funds for this study. FAST, a recently-formed advocacy coalition, is currently working to build public support for many of the recommendations in the study; see www.fastla.org. Anthony Downs, Still Stuck in Traffic: Coping with Peak-Hour Traffic Congestion, Washington, DC: Brookings Institution Press, 2004. Michael Manville and Donald C. Shoup, “People, Parking, and Cities,” Journal of Urban Planning and Development, 131, 4, 2005. David Schrank and Tim Lomax, The 2007 Urban Mobility Report, College Station, Tex. : Texas Transportation Institute, The Texas A&M University, September 2007. Donald Shoup, The High Price of Free Parking, Chicago: Planners Press, 2006. Paul Sorensen, Martin Wachs, Endy Y. Min, Aaron Kofner, Liisa Ecola, Mark Hanson, Allison Yoh, Thomas Light, and James Griffin, “Moving Los Angeles: Short-Term Policy Options for Improving Transportation”, MG-748-JAT/METRO/MCLA, RAND Corporation, Santa Monica, October 2008. Brian Taylor, “Rethinking Congestion,” Access 21, Fall 2002.